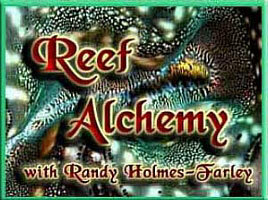 Salinity is one of the most important parameters measured in reef aquaria. It controls not only the salt balance between an organism and its surrounding environment, but also the levels of a host of ions in seawater that aquarists neither measure nor control independently. Consequently, aquarists must monitor salinity to ensure that organisms are not stressed by moving between aquaria of potentially different salinity, and that the salinity of the aquarium itself is controlled within ranges that organisms thrive in. Fortunately for aquarists, most marine organisms are fairly forgiving of the exact salinity, and high quality reef aquaria can seemingly have a fairly wide range of salinity. Reef aquarists monitor salinity in a variety of ways. These include specific gravity measurement using hydrometers, conductivity measurement using electronic meters and refractive index measurement using refractometers. For many years reef hobbyists have had high expectations of accuracy when using refractometers. To some extent this may be because early models may have been more accurate than some of the very inexpensive refractometers in use today, but the lack of standards available to actually test them probably also contributed to this acceptance of their accuracy. Now that such standards are both commercially available and can be DIY projects, many aquarists have come to find that their refractometers are not as accurate as they had assumed. This article describes how refractometers work, what the concerns are with different types of commercial models that may be less than optimal for reef aquarium purposes, and how best to calibrate them (which is often not what the directions that come with them claim). As far as I know, little evidence suggests that keeping a coral reef aquarium at anything other than a natural oceanic salinity level is preferable to natural seawater's salinity. It nevertheless appears to be common practice to keep marine fish and, in many cases, reef aquaria, at somewhat lower than natural oceanic salinity levels. This practice stems, at least in part, from the belief that fish are less stressed at reduced salinity. Substantial misunderstandings also arise among aquarists as to how specific gravity really relates to salinity, especially considering the effects of temperature. Seawater's salinity is generally defined in parts per thousand by weight (ppt) or in practical salinity units (PSU), which often is shown simply as S=35, or whatever the value actually is. In this article I will mostly use ppt, because that more appropriately applies to solutions whose composition deviates greatly from seawater (such as sodium chloride solutions used to make certain standards). The salinity on natural reefs has been discussed in a previous article. Based on such information, my recommendation is to maintain salinity at a natural level of about 35 ppt (abbreviated as  and also as PSU, practical salinity units). If the aquarium's organisms are from brackish environments with lower salinity, or from the Red Sea with higher salinity, selecting something other than 35 ppt may make good sense. Otherwise, I suggest targeting a salinity of 35 ppt (specific gravity = 1.0264; conductivity = 53 mS/cm; refractive index = 1.33940). Recommendations aside, high quality reef aquaria exist with a fairly wide range of salinity. Many highly successful reef aquaria have salinity in the range of 32-36 ppt, or specific gravity in the range of 1.024 to 1.027. The index of refraction (or refractive index) is the ratio of the speed of light traveling through a vacuum to the speed of light in the material being tested. Most aquarists do not realize that when using a refractometer, they are measuring the speed of light through their aquarium's water, so having such knowledge might be a good way to impress friends with your technical abilities! Light travels through most materials more slowly than it does through a vacuum, so their refractive index is higher than 1.00000. The detailed mathematics and physics behind refractive index are actually quite complicated, because it is often a complex number with real and imaginary parts, but a simple version is adequate for all purposes that a reef aquarist would encounter. Some materials slow light traveling through them more than others, and slower light travel leads to a higher refractive index. Table 1 shows some typical refractive index values for comparative purposes. Table 1. Index of Refraction of Various Materials. In solutions of two compounds, such as ethyl alcohol in water, sugar in water or salt in water, the refractive index changes in step with how much of each component is present. Scientists have long known this to be true, and refractometers have a long history of use in brewing, sugar refining, analyzing blood and urine protein and many other industries where a quick measure of refractive index can lead to a good assessment of what is present. Refractive index generally cannot reveal the identity of compounds in water, but when an aquarist knows roughly what material is there he can determine how much of it is there (within the refractive index's detection capability). Changes in refractive index are not suitable for determining trace levels of ions (such as the purity of freshwater coming out of an RO/DI (reverse osmosis/deionization) purification system), but it can do a good job when significant amounts of a known material are present. For example, refractive index cannot determine whether a salt in water is potassium sulfate, sodium chloride, magnesium nitrate or calcium bromide, but if you know which of these you have by some other means (such as the name on a chemical's bottle), then you can determine how much is present in solution by measuring the refractive index, and then looking it up in a table that relates the refractive index to the concentration of that material. Aquarists can use the effects that added salts have on the refractive index of a water solution to determine the salinity of reef aquarium water. As the salinity of seawater rises, the amount of salt added rises, so the refractive index rises. Figure 1 plots seawater's refractive index vs. its salinity. Figure 2 shows a similar plot of seawater's refractive index vs. specific gravity. These data are also summarized in Table 1. These sets of data demonstrate how aquarists can use refractive index to measure salinity and specific gravity, assuming they have a refractometer that can read in the appropriate refractive index range. Figure 1. A plot of the relationship between the refractive index and the salinity of seawater. Figure 2. A plot of the relationship between the refractive index and the specific gravity of seawater in the range of interest to most reef aquarists. The black circles represent data points for whole values of the salinity (33, ppt, 34 ppt, 35, ppt, etc). Table 2. Specific gravity and refractive index as a function of seawater’s salinity of seawater. The darker blue rows represent the range usually encountered in the open ocean. It turns out that an aqueous solution's refractive index is relatively insensitive to small changes in the solution's ionic makeup. For example, the usual changes in seawater's major ions that are encountered in a reef aquarium do not greatly alter the measured salinity. However, large differences in the big four ions (chloride, sulfate, sodium and magnesium) will alter the relationship between refractive index and salinity or specific gravity. and substitute more or less magnesium chloride in place of sodium chloride, while maintaining overall salinity at 35 ppt, we get the results shown in Table 3. The effect can be readily understood in that sodium chloride has a smaller effect on refractive index than does the same weight of magnesium chloride. So if magnesium is low, the refractive index will be low, and reported salinity will be a bit low. But overall these issues result in a very small error in salinity (in terms of the precision that reef aquarists are typically concerned with, say, ± 1 ppt), so the conclusion is that refractive index is a suitable way to measure salinity regardless of ordinary chemical imbalances. Table 3. The error in salinity measurement via refractive index when magnesium is present at unusually high or low concentrations. The darker blue row represents natural seawater. There are several types of refractometers, but this discussion will focus on hand held refractometers because reef aquarists rarely use any other type. Figure 3 shows the workings of a typical refractometer. In that figure, light enters from the left and passes through the liquid sample. When the light hits the prism at the bottom of the liquid, it suddenly is slowed more than in the liquid because the prism has a higher refractive index. The physics of light is such that when it passes from a medium of one refractive index to one with a different refractive index, the light bends (refracts) at the interface, rather than passing straight through. The amount it bends or, in technical jargon, the angle of refraction, depends on the difference in the two media's refractive indices. Figure 3. A schematic drawing of a typical hand held refractometer. In the case of a refractometer, the light bends in proportion to the liquid's refractive index. As the light then travels down the refractometer, it passes through lenses and lands on a scale. The bending of the light at the liquid/prism interface sends the light higher or lower in the scale's grid. Aquarists then look through the viewfinder on the other end and read where the light is falling on the scale. Light covers a portion of the scale, and the remainder is dark. The dividing line between light and dark is the place to read the scale. Calibration is accomplished by turning the calibration screw, which raises or lowers the reticle (the scale) relative to the path of the light. It turns out that refractive index is highly dependent on temperature. When using a refractometer that does not account for this effect, temperature changes can be a large source of errors. Most liquid materials expand slightly when heated and shrink when cooled. For a given material, light can pass through it more easily when it is expanded, so the index of refraction falls when materials are warmed. However, the magnitude of this effect is different for every material, and refractometers must somehow take this into account. Handheld refractometers account for temperature by employing a bimetal strip inside them. This bimetal strip expands and contracts as the temperature changes. The bimetal strip is attached to the optics inside the refractometer, moving them slightly as the temperature changes. This movement is designed to exactly cancel temperature's effects on refractive index, and generally does a very good job IF the refractometer is designed to cancel out the temperature effects of the specific material being analyzed. Because many refractometers are designed to use aqueous (water) solutions, the bimetal strip can be designed to account for the change in refractive index of aqueous solutions, although it may not be perfect in some situations because salts and other materials in the water can change temperature's effects on refractive index by a small extent (possibly to a larger extent for very concentrated solutions, like 750% sugar in water, but seawater is not in that category). Other details of this compensation may cause it to be imperfect (for example, the bimetallic strip provides a linear correction while the true temperature effect may be nonlinear), but those issues are beyond the scope of this article, and in general automatic temperature compensation (ATC) is a very useful attribute for aquarists using refractometers. Assuming that a refractometer is made correctly for the fluid it is intended to measure, the way to calibrate a refractometer is to put a liquid of known refractive index on it, and adjust the scale's position by turning the calibration screw (Figure 3) until it reads correctly. When a refractometer is perfectly calibrated, it will show the fluid's exact refractive index (assuming that it reports the results in refractive index, but this is not always the case). Figure 4 shows a graph of the measured refractive index vs. the real refractive index for a perfectly calibrated refractometer. At all points these two values are the same. While this graph alone is not particularly enlightening, it forms the basis of later graphs that explain how errors in calibration get corrected. Figure 4. The relationship between the real (actual) refractive index and the measured refractive index for a perfectly calibrated refractometer. For many refractometers used by reef aquarists, the manufacturer calls for pure freshwater to be used for calibration. With a perfectly made refractometer (that hasn't changed since its manufacture), that single point calibration at the end of the range (Figure 5) would be adequate, albeit not perfect. A better single point calibration might be performed in the middle of the range being used, and for higher accuracy, more than one calibrating solution would be used. Figure 5. The relationship between the refractive index and the salinity of seawater, showing that the usual point of calibration using pure freshwater is far from the range of measurement used in reef aquaria. If somehow a refractometer is not perfectly made or calibrated, two different types of errors are often encountered. Figure 6 shows a graph of what I call an offset miscalibration. Essentially, the refractometer reads a refractive index that is either lower or higher than the real refractive index, and this difference, or "offset," is the same at all values of the refractive index. This type of miscalibration is, for example, what happens when the calibration screw on a perfect refractometer is intentionally moved off perfect calibration. Figure 6. The relationship between the real (actual) refractive index and the measured refractive index for an incorrectly calibrated refractometer. This refractometer has an offset error, with all values reading higher than the actual value. Fixing this problem requires simply adjusting the offset. This adjustment is what happens when the calibration screw is adjusted on a refractometer. The scale simply moves up or down inside the refractometer (or in some other way the scale moves relative to the refracted light) as the user turns the screw that moves it. The scale's apparent reading changes, and the user turns the screw until the scale's reading matches the known refractive index of the standard being used for calibration. Figure 7 shows how the relationship between the reported refractive index and the real refractive index changes during this type of calibration when using pure freshwater for calibration. Figure 8 shows how the relationship between the reported refractive index and the real refractive index changes during this type of calibration when using 35 ppt seawater for calibration. Both methods work equally well for this type of correction. Figure 7. The relationship between the real (actual) refractive index and the measured refractive index for an incorrectly calibrated refractometer. This refractometer has an offset error, with all values reading higher than the actual value. This type of error can be corrected by recalibrating with pure freshwater (refractive index = 1.3330) as shown as well as by calibrating with seawater (Figure 8). Figure 8. The relationship between the real (actual) refractive index and the measured refractive index for an incorrectly calibrated refractometer. This refractometer has an offset error, with all values reading higher than the actual value. This type of error can be corrected by recalibrating with 35 ppt seawater (refractive index = 1.3394) as shown as well as by calibrating with pure freshwater (Figure 7). These same issues apply to refractometers that read in units of salinity (ppt) or specific gravity. In those cases, the measured and true salinity (or specific gravity) relate to one another in exactly the same way that measured and true refractive index relate to each other in Figures 6-8. Figure 9, for example, shows the relationship between the measured and actual specific gravity for a refractometer with an offset miscalibration. It is clear that seawater (35 ppt) which has an actual specific gravity of 1.0264 reads much lower in this case, at about 1.0235. Similarly, Figure 10 shows the relationship between the measured and actual salinity for a refractometer with an offset miscalibration. It is clear that seawater (35 ppt) reads much lower in this case, at about 31 ppt. Figure 9. The relationship between the real (actual) specific gravity and the measured specific gravity for a perfectly calibrated seawater refractometer (green) and an incorrectly calibrated seawater refractometer (red). This refractometer has an offset error, with all values reading higher than the actual value. The error in measuring the specific gravity of seawater with a real refractive index of 1.0264 is indicated. Figure 10. The relationship between the real (actual) salinity and the measured salinity (in ppt) for a perfectly calibrated seawater refractometer (green) and an incorrectly calibrated seawater refractometer (red). This refractometer has an offset error, with all values reading higher than the actual value. The error in measuring the salinity of seawater with a real salinity of 35 ppt is indicated. Just as was shown for refractive index, recalibration of a refractometer with an offset error can be discussed in terms of specific gravity and salinity. Figure 11 shows what happens when adjusting the calibration screw so that the specific gravity of a 35ppt seawater standard (with a known specific gravity of 1.0264) really reads 1.0264. In this figure, the miscalibrated red line moves exactly onto the green line, and the refractometer is then good to go at all specific gravity values. Similarly, Figure 12 shows what happens when adjusting the calibration screw so that the salinity of a 35 ppt seawater standard really reads 35 ppt. In this figure, the miscalibrated red line moves exactly onto the green line, and the refractometer is then good to go at all specific gravity values. Figure 11. The relationship between the real (actual) specific gravity and the measured specific gravity for a perfectly calibrated seawater refractometer (green) and an incorrectly calibrated seawater refractometer (red). This refractometer has an offset error, with all values reading higher than the actual value. The error can be corrected using a seawater standard. By turning the calibration screw until a seawater standard reads 1.0264, the red line moves onto the green line and the refractometer is properly calibrated. In this case, accurate calibration can also be performed using freshwater. Figure 12. The relationship between the real (actual) salinity and the measured salinity (in ppt) for a perfectly calibrated seawater refractometer (green) and an incorrectly calibrated seawater refractometer (red). This refractometer has an offset error, with all values reading higher than the actual value. The error can be corrected using a seawater standard. By turning the calibration screw until a seawater standard reads 35 ppt, the red line moves onto the green line and the refractometer is properly calibrated. In this case, accurate calibration can also be performed using freshwater. This analysis makes it clear that offset miscalibration is readily corrected by turning the refractometer's adjustment screw, and that it can be corrected using either pure freshwater or 35 ppt seawater. A second way that refractometers can give incorrect values is when they are imperfectly made or are made for an application different from seawater. One such error results in what I call a slope miscalibration (Figure 13). Essentially, the refractometer reads a refractive index that is either lower or higher than the real refractive index, and this difference changes with the difference from some point of calibration (here chosen as the bottom left hand corner, matching pure freshwater). In this case, the error becomes larger and larger as the reading moves away from the point of calibration. Such an error can arise, for example, if the scale is not made to exactly the right dimensions. In that case, no amount of moving the scale up or down can make it accurate at all values of refractive index. Figure 13. The relationship between the real (actual) refractive index and the measured refractive index for an incorrectly calibrated refractometer (red) and a perfectly calibrated refractometer (green). This red refractometer has a slope error, with values far from the calibration point (here shown as refractive index = 1.3330 for pure freshwater) reading higher than the actual value. The error in reading refractive index values as far away as that of seawater can be significant, as shown. Can such a refractometer be used? Yes, but only if it is calibrated using a solution known to have a refractive index close to that of the samples to be tested. Calibrating using a liquid matching seawater, for example, can lead to a slope correction as shown in Figure 14. In this type of calibration, the refractometer is accurate at that refractive index, but not necessarily at other values. Figure 14. The refractometer of Figure 13 (red) has a slope error, with values far from the calibration point reading incorrectly. This type of error can only be corrected by calibrating with a solution with refractive index near to the expected measurement point. For use in seawater, recalibration with 35 ppt seawater (refractive index = 1.3394) moves the red line onto the green line at the refractive index used for calibration (here, 1.33940), and the refractometer now reads accurately in the region of refractive index similar to seawater. For example, to measure the salinity of seawater at 35 ppt, calibrate a refractometer using a standard with the same refractive index, and the slope miscalibration error disappears when measuring seawater samples near that salinity (Figure 14). These same issues apply to refractometers that read in units of salinity (ppt) or specific gravity. In those cases, the measured and true salinity (or specific gravity) relate to one another in exactly the same way that measured and true specific gravity relate to each other in Figures 13 and 14. Figure 15, for example, shows the relationship between the measured and actual specific gravity for a refractometer with a slope miscalibration. Figure 16 is an expansion of the region of specific gravity of interest to reef aquarists. It is clear that seawater (35 ppt) which has an actual specific gravity of 1.0264 reads much lower in this case, at about 1.0235. Figure 15. The relationship between the real (actual) specific gravity and the measured specific gravity for an incorrectly calibrated seawater refractometer (red) and a perfectly calibrated seawater refractometer (green). This red refractometer has a slope error, with values far from the calibration point (freshwater with a specific gravity of 1.000) reading higher than the actual value. The amount of error in measuring seawater is indicated. Figure 16. The relationship between the real (actual) specific gravity and the measured specific gravity for an incorrectly calibrated seawater refractometer (red) and a perfectly calibrated seawater refractometer (green). This red refractometer has a slope error, with values far from the calibration point (freshwater with a specific gravity of 1.000) reading higher than the actual value. The amount of error in measuring seawater is indicated. This figure is an expansion of Figure 15 in the region of most interest to reef aquarists. Similarly, Figure 17 shows the relationship between the measured and actual salinity for a refractometer with an offset miscalibration. Figure 18 is an expansion of the region of salinity of interest to reef aquarists. It is clear that seawater (35 ppt) reads much lower in this case, at about 30 ppt. Figure 17. The relationship between the real (actual) salinity and the measured salinity (in ppt) for an incorrectly calibrated seawater refractometer (red) and a perfectly calibrated seawater refractometer (green). This red refractometer has a slope error, with values far from the calibration point (freshwater with a salinity of 0 ppt) reading higher than the actual value. The amount of error in measuring seawater is indicated. Figure 18. The relationship between the real (actual) salinity and the measured salinity (in ppt) for an incorrectly calibrated seawater refractometer (red) and a perfectly calibrated seawater refractometer (green). This red refractometer has a slope error, with values far from the calibration point (freshwater with a salinity of 0 ppt) reading higher than the actual value. The amount of error in measuring seawater is indicated. This figure is an expansion of Figure 17 in the region of most interest to reef aquarists. Just as was shown for refractive index, recalibration of a refractometer with a slope error can be discussed in terms of specific gravity and salinity. Figure 19 shows what happens when adjusting the calibration screw so that the specific gravity of a 35 ppt seawater standard (with a known specific gravity of 1.0264) really reads 1.0264. Figure 20 is an expansion of the region of salinity of interest to reef aquarists. In this figure, the miscalibrated red line moves onto the green line, and the refractometer is then good to go at specific gravity values near 1.0264 (say, 1.020 to 1.030), but it is no longer accurate at a specific gravity of 1.000 (freshwater; Figure 19). Figure 19. The refractometer of Figure 15 and 16 (red) has a slope error, with values far from the calibration point reading incorrectly. In this figure it has been recalibrated with seawater and so is accurate in the region around the specific gravity of seawater, but not in the region of freshwater (specific gravity = 1.000). Figure 20. The refractometer of Figure 15 and 16 (red) has a slope error, with values far from the calibration point reading incorrectly. In this figure it has been recalibrated with seawater and so is adequately accurate over the range of specific gravity from 1.020 to 1.030 despite the slope error. This figure is an expansion of Figure 19 in the region of most interest to reef aquarists. Similarly, Figure 21 shows what happens when adjusting the calibration screw so that the salinity of a 35ppt seawater standard really reads 35 ppt. Figure 20 is an expansion of the region of salinity of interest to reef aquarists. In this figure, the miscalibrated red line moves onto the green line, and the refractometer is then good to go at salinity values near 35 ppt (say, 30 to 40 ppt), but it is no longer accurate in freshwater (salinity = 0 ppt; Figure 22). Figure 21. The refractometer of Figure 17 and 18 (red) has a slope error, with values far from the calibration point reading incorrectly. In this figure it has been recalibrated with seawater and so is accurate in the region around the salinity of seawater, but not in the region of freshwater (salinity = 0 ppt). Figure 22. The refractometer of Figure 17 and 18 (red) has a slope error, with values far from the calibration point reading incorrectly. In this figure it has been recalibrated with seawater, and so is adequately accurate over the range of salinity of 30-40 ppt despite the slope error. This figure is an expansion of Figure 21 in the region of most interest to reef aquarists. This type of slope correction turns out to be important for reef aquarists, as slope miscalibration errors seem to abound in inexpensive refractometers. Many aquarists have found that when calibrated using pure freshwater, their refractometers do not accurately read 35 ppt seawater standards. Many read 1 ppt, which is likely acceptable to most aquarists, but some read much further from the actual value. These inaccuracies may be partly because many of these may actually be salt refractometers and not actual seawater refractometers (see next section). Correction of slope miscalibration errors should be carried out using a fluid that approximately matches the refractive index of the water being tested, so for reef aquarium water, calibration with 35 ppt seawater solves this problem, while calibration with pure freshwater does not. Refractometers can lead to incorrect readings in additional ways and, again, these issues abound for reef aquarists. One is that many refractometers are intended to measure sodium chloride solutions, not seawater. These are often called salt or brine refractometers. Despite the scale reading in ppt () or specific gravity, they are not intended to be used for seawater. Unfortunately, many refractometers used by aquarists fall into this category. In fact, very few refractometers used by hobbyists are true seawater refractometers. Fortunately for aquarists, the differences between a salt refractometer and a seawater refractometer are not too large. A 35 ppt sodium chloride solution (3.5 weight percent sodium chloride in water) has the same refractive index as a 33.3 ppt seawater solution, so the error in using a perfectly calibrated salt refractometer is about 1.7 ppt, or 5% of the total salinity. This error is significant, in my opinion, but not usually enough to cause a reef aquarium to fail, assuming the aquarist has targeted an appropriate salinity in the first place. Figure 23 shows the relationship between a perfectly calibrated and accurate salt refractometer and a perfectly calibrated and accurate seawater refractometer when the units are reported in salinity. This figure shows the measured salinity reading for seawater being about 1.7 ppt higher than it really is. Figure 23. The relationship between the real (actual) salinity and the measured salinity (in ppt) for a perfectly calibrated seawater refractometer (green) and a perfectly calibrated salt refractometer (red). This salt refractometer effectively has a significant slope error, with values far from the calibration point (freshwater with a salinity of 0 ppt) reading roughly 1.7 ppt higher than the actual value. Salt refractometers reading in salinity can be recalibrated using seawater to eliminate nearly all of this error (just as the refractometer in Figures 17 and 18 was recalibrated in seawater to give Figures 21 and 22). It turns out that this is a slope miscalibration in the sense that a perfectly made sodium chloride refractometer necessarily has a different relationship between refractive index and salinity than does seawater. This type of problem with a refractometer IS NOT at all corrected by calibrating it with pure freshwater. If you have this type of refractometer, and it was perfectly made and calibrated in freshwater, it will ALWAYS read seawater to be higher in salinity than it actually is (misreporting an actual 33.3 ppt to be 35 ppt). Even more confusing, but perhaps a bit less of a problem in terms of the error's magnitude, salt refractometers sometimes read in specific gravity. But that value is specific gravity of a sodium chloride solution with the measured refractive index, not seawater with that refractive index. A sodium chloride solution with the same refractive index as 35 ppt seawater (which turns out to be 36.5 ppt sodium chloride) has a specific gravity matching 34.3 ppt seawater. So this type of refractometer, when perfectly calibrated, will read the specific gravity of 35 ppt seawater to be a bit low, at 1.0261 instead of about 1.0264. That error (reading 0.0003 or so too low) is, however, probably less than most reef aquarists are concerned with. Figure 24 shows the relationship between a perfectly calibrated and accurate salt refractometer and a perfectly calibrated and accurate seawater refractometer when the units are reported in specific gravity. This figure shows the measured salinity reading for seawater being about 0.0003 lower than it really is. Figure 24. The relationship between the real (actual) specific gravity and the measured specific gravity for a perfectly calibrated seawater refractometer (green) and a perfectly calibrated salt refractometer (red). This salt refractometer effectively has a very small slope error, with values far from the calibration point (freshwater with a salinity of 0 ppt) reading roughly 0.0003 specific gravity units higher than the actual value. Salt refractometers reading in specific gravity can be recalibrated using seawater to eliminate nearly all of this already small error (just as the refractometer in Figures 15 and 16 was recalibrated in seawater to give Figures 19 and 20). Regardless of a salt refractometer's scale reading (ppt or specific gravity), aquarists can get around this problem by calibrating this type of refractometer in a seawater standard (see below). Because that type of calibration also gets around important manufacturing errors (slope calibration defects due to the scale being the wrong dimensions), it solves both problems at once. A commonly manufactured type of refractometer is called a Brix refractometer. Its scale usually reads in Brix, or % Brix (percent Brix). These refractometers are used in many industries to measure the concentration of sugar in water such as in the soft drink industry. They can be used to measure seawater's salinity, but are not always precise enough around the range of seawater's refractive index to be useful. A resolution of 0.2% Brix is common, and that is borderline acceptable for the reasons detailed below. Table 4 shows the relationship between seawater salinity, refractive index and % Brix. If a refractometer has a resolution (not accuracy, but resolution, which is the finest amount it can distinguish) of 0.2 % Brix, then that translates to about +/- 1 ppt. So the best resolution would translate to 35 ppt seawater reading 34-36 ppt, which may be adequate for reef aquarists. A Brix refractometer that reads 0 to 10 % Brix with a resolution of 0.1% Brix might be a fine choice for determining seawater salinity in a reef aquarium, (although they are not inexpensive). Some Brix refractometers have a resolution of 0.5 % Brix or even 1% Brix, and they would not be suitable choices. Table 4. The relationship between seawater salinity, refractive index and % Brix. Some medical and veterinary labs use a type of refractometer called a "clinical refractometer." These are normally used to measure proteins in urine, serum and other biological fluids. The scale can read in units familiar to reef aquarists (ppt or specific gravity), but that is ppt or specific gravity of a protein solution, not a seawater solution. Those units should be ignored, and if they are all that is available on the refractometer, I'd find another refractometer. Without a conversion table to seawater salinity or specific gravity, such readings cannot be used to gauge seawater's salinity as they will be way off. Some clinical refractometers read in refractive index, which is okay if you match the refractive index to the appropriate seawater refractive index (e.g., 35 ppt seawater has a refractive index of 1.33940). Such conversions of refractive index to salinity or specific gravity are shown in Figures 1 and 2, and Table 1. Despite that fact that many refractometers sold to aquarists recommend calibration in pure water, such a calibration alone will not always ensure accuracy. Consequently, other standards may also need to be used. These other standards should be solutions with known refractive indices that are close to the values intended to be measured in the aquarium. For this purpose, seawater with a salinity of 35 ppt is perfect, and such standards can be obtained commercially or made from table salt with appropriate measurement. One suitable commercial standard is made by American Marine and sold under the brand name Pinpoint. It is sold as a 53 mS/cm calibration fluid for the company's electronic salinity probe (a conductivity probe), but it also is suitable for use in a refractometer. NOTE that this is not necessarily true of all 53 mS/cm conductivity standards. The Pinpoint fluid happens to be made to match seawater in other respects, not just conductivity, but other brands, or do-it-yourself 53 mS/cm standards, may not be appropriate to use with a refractometer because, while they have the same conductivity as 35 ppt seawater, they may not have the same refractive index. For example, standard seawater with S=35 (35 practical salinity units, or PSU) is defined as seawater with the same conductivity as a solution made from 3.24356 weight percent potassium chloride (KCl), and that conductivity is exactly 53 mS/cm (mS/cm, or milliSiemens per centimeter, is one of the units used for conductivity). That solution, however, has a refractive index of about 1.3371, matching seawater just below 26 ppt. So do not assume that all 53 mS/cm conductivity standards are suitable for refractometer calibration. Salifert has a product called Refracto-Check that they often give away at meetings like MACNA. It is a 35 ppt seawater refractive index standard, but it is not widely available commercially. In a previous article I have described how to make a do-it-yourself refractometer standard matching 35 ppt seawater, and I will just summarize that recipe here. To provide a standard for refractometers requires a solution whose refractive index is similar to normal seawater. Seawater with a salinity of 35 ppt has a refractive index of 1.3394. Likewise, the refractive index of different sodium chloride solutions can be found in the scientific literature. My CRC Handbook of Chemistry and Physics (57th Edition, Page D-252) has such a table. That table has entries for 3.6 and 3.7 weight percent solutions of sodium chloride that span the value for normal seawater. Interpolating between these data points suggests that a solution of 3.65 weight percent sodium chloride has the same refractive index as 35 ppt seawater, and therefore can be used as an appropriate standard (Table 5). Table 5. Refractive Index as a function of the concentration of a sodium chloride solution. The darker blue row represents the standard. This 3.65 weight percent sodium chloride solution can be made by dissolving 3.65 grams of sodium chloride in 96.35 grams (mL) of purified freshwater. This recipe can be scaled to any appropriate size if suitable instruments are available (36.5 grams in 963.5 grams (mL) of water, 0.365 grams in 9.635 g (mL) of water, etc.). This concentration roughly corresponds to ¼ cup (73.1 g) of Morton's Iodized Salt dissolved into two liters (2000 g) of water (giving very slightly more than 2 L of total volume). 1. Measure ¼ cup of Morton's Iodized Salt (about 73.1 g). 2. Add one teaspoon of salt (making about 79.3 g total salt). 3. Measure the full volume of a plastic 2 L Coke or Diet Coke bottle filled with purified freshwater (about 2104.4 g). 4. Dissolve the total salt (79.3 g) in the total water volume (2104 g) to make an approximately 3.65 weight percent solution of NaCl. The volume of this solution will be slightly larger than the Coke bottle, so dissolve it in another container. Selecting a suitable refractometer to use to measure salinity requires first determining whether it covers the appropriate range of interest. For any refractometer, the refractive index of seawater with a salinity of 35 ppt is 1.33940. A refractometer that has a range spanning that value is required. If it is going to be calibrated in pure freshwater, the range must extend to 1.3330 (which is almost always the case). If the range is too wide, or the precision is too low for other reasons, then the uncertainty of a particular measurement will be too high. From Table 2 we can see that an uncertainty of ± 0.00018 in refractive index corresponds to an uncertainty of about ± 1 ppt in salinity (say, 34-36 ppt) or ± 0.00075 in specific gravity (say, 1.0255 to 1.0270). So, readability of a refractometer to 0.0002 refractive index units or better is reasonable for most reef aquarium applications. If selecting a refractometer that reads in ppt or specific gravity, it is important to be sure that it is either a true seawater refractometer, or a salt (brine) refractometer, and not a clinical refractometer. For either a true seawater refractometer, or a salt (brine) refractometer (recognizing the differences and potential inaccuracies of salt refractometers that were described earlier in the article), the range needs to include about 30-40 ppt and/or a specific gravity of about 1.022 - 1.029. If it is going to be calibrated in pure freshwater, the range must extend to 0 ppt and specific gravity = 1.0000 (which is almost always the case). If the range is too wide, or the precision is too low for other reasons, then the uncertainty of a particular measurement will be too high. Readability to ± 1 ppt (say, 34-36 ppt) in salinity or ± 0.00075 in specific gravity (say, 1.0255 to 1.0270) is desirable. If selecting a refractometer that reads in % Brix, the range needs to include about 3.8-5% Brix, with a readability to 0.2% Brix to attain a precision of ± 1 ppt (say, 34-36 ppt) in salinity or ± 0.00075 in specific gravity (say, 1.0255 to 1.0270). It is preferable that refractometers used by aquarists have automatic temperature compensation (ATC). That feature adds a small amount of cost, but increases the accuracy of measurement and eliminates concerns about temperature. 1. First calibrate the refractometer in pure freshwater. This can be distilled water, RO (reverse osmosis) water, RO/DI water, bottled water and even tap water with reasonably low TDS (total dissolved solids). Calibrating with tap water that has a TDS value of 350 ppm introduces only about a 1% error in salinity, causing readings in seawater to read a bit low. So 35 ppt seawater (specific gravity = 1.0264) will read to be about 34.7 ppt, and will show a specific gravity of about 1.0261. This calibration should ordinarily be carried out at room temperature using an ATC refractometer. The directions with some ATC refractometers insist that the calibration be carried out at a specific temperature, but I've never understood how that could matter and I would not worry about it. If the refractometer is not an ATC refractometer, then careful temperature control or correction is necessary, and such corrections are beyond the scope of this article. Calibration is usually performed by putting the freshwater on the refractometer, letting it sit for at least 30 seconds so it comes to the same temperature as the refractometer, and adjusting the calibration screw until it reads a value appropriate for freshwater (e.g., refractive index = 1.3330, salinity = 0 ppt, specific gravity = 1.0000). Normally, this step is a quick and easy procedure, and may often be all that is required IF the refractometer has been verified to have passed the second calibration step below at least once. This is an offset calibration, as described above. 2. The second step in calibration should be performed at least once before relying on a refractometer to accurately measure the salinity of a reef aquarium. This step involves testing it in a solution matching the refractive index of 35 ppt seawater (or some similar solution near the range of measurement). Remember to let it sit for at least 30 seconds so it comes to the same temperature as the refractometer. Suitable commercial and do-it-yourself standards were described earlier in this article. Using one of them, place a drop onto the refractometer and read the value. If it reads approximately 35 ppt, or a specific gravity of 1.0264, or a refractive index of 1.33940, then the refractometer is properly calibrated and is set to go. If it does not read correctly, and is off by an amount that is significant relative to your salinity precision requirements, then you need to recalibrate it using this second fluid. I suggest that a salinity error of ± 1 ppt or a specific gravity error of ± 0.0075 is allowable. If the refractometer is off significantly, and you used a do-it-yourself standard made with crude techniques such as Coke bottles, a good next step might be to buy a commercial standard. To correct errors using these seawater standards, simply adjust the calibration screw on the refractometer until it reads the correct value for the standard (35 ppt, or a specific gravity of 1.0264, or a refractive index of 1.33940). This type of slope calibration makes the refractometer suitable to read solutions whose salinity is close to seawater's. After such a calibration, refractometers may not read freshwater correctly. Again, despite the claims in the directions of some refractometers to have the standard at a particular temperature, when calibrating an ATC refractometer with this seawater standard, I'd just use it at room temperature. If you are using a refractometer for hyposalinity, such as when treating a sick fish, I'd just use one calibrated in freshwater, because that is closer in salinity than seawater to the hyposaline solution usually used (say, specific gravity = 1.009). A new standard for hyposalinity can also be made by mixing one part 35 ppt seawater and two parts freshwater, but that is probably overkill. Clean the refractometer between each measurement using a soft, damp cloth. Failure to wipe the prism can lead to inaccurate results and damage to the prism. Do not immerse the refractometer in water. If the refractometer looks foggy inside, water has entered it. You may or may not be able to dry it out without damaging the unit. Do not measure or clean it with abrasive or corrosive chemicals. If the scale is completely dark, you may not have added sample to it in the appropriate way. If the scale is completely light, then the liquid's refractive index is above the refractometer's high end. Refractometers are a quick and often accurate way to measure the salinity of reef aquarium water. Once checked to be sure that they were made correctly, they may provide years of service, providing they are not dropped onto a hard surface or into an aquarium. As with many devices, however, you sometimes get what you pay for, and sometimes less. Very inexpensive refractometers can be prone to errors and may need to be checked in a solution matching seawater, not just pure freshwater. Other methods of salinity determination are also quite suitable for reef aquarists. These include conductivity using electronic meters, and specific gravity using floating glass hydrometers. Plastic swing arm hydrometers can be accurate, but seem to be more prone to inaccuracies than electronic meters and glass hydrometers. In general, it is good to calibrate any device used with a seawater standard at least once to confirm its proper operation before relying on it to gauge the salinity in a reef aquarium.